Looking for a rally-ready tin-top? Instead of the usual suspects from Mini and Ford, how about an early Saab? 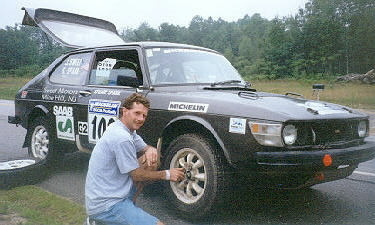 In the hands of Erik Carlsson and other professional mud-flingers, those first Saabs scored big wins at the world’s top rallies. Meanwhile, owners living in cold climates discovered that the Swedish sedans made reliable daily drivers. Saab had been building aircraft for years, but with the end of World War II in sight, the company looked toward other markets to expand its production capabilities. Final decision: to provide transportation for the masses. Drawings and prototypes were developed right after the war’s end, starting with three test cars produced in 1947. Production began in earnest two years later, with the Trollhättan factory churning out 1246 plump green Saab 92 sedans for the 1949 model year. This distinctive shape, but not the drab color, would be a mainstay of Saab production for years. When those first Saabs broke onto the scene, they were unlike anything that came before, combining front-wheel drive, a two-stroke powerplant, airplane-like styling, and a rock-bottom price. Despite its newcomer status in the automotive world, Saab had a hit on its hands. In its homeland of Sweden, the tough, well-engineered car was worth its weight in gold. The Northeastern U.S. embraced the Swedish sedan for the same reasons. Meanwhile, rally enthusiasts almost immediately recognized the winning potential in the Saab’s front-wheel drive and good aerodynamics. 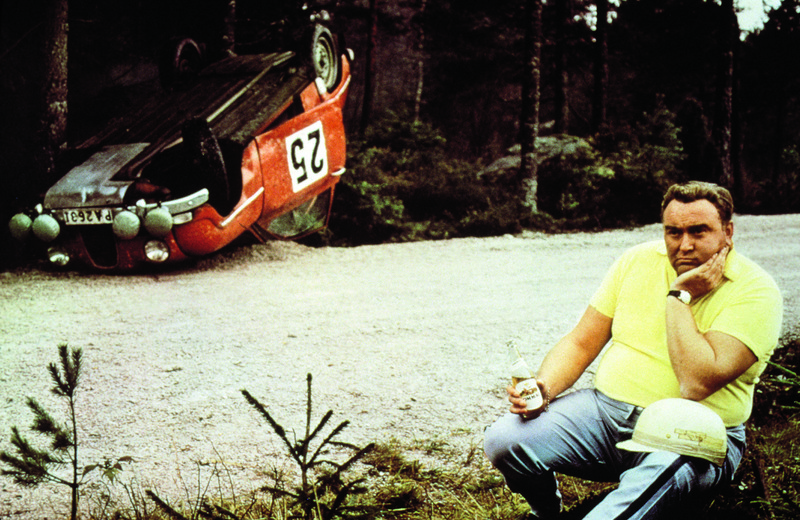 Factory driver Erik Carlsson, in particular, became a national hero by posting wins at the day’s big rallies, including Monte Carlo. Saabs evolved over the next few years, with the three-cylinder 93 replacing the two-cylinder 92 for 1956. Two years later, Saab’s new Granturismo 750 offered not just some chrome trim, but more horsepower and a Halda Speed Pilot rally clock, too. And where contemporary Road & Track road tests showed the stock Saab 93 taking 27 seconds to reach 60 mph, a warmed-over GT needed only 12. The Saab evolution continued with the 1961 introduction of the 96, which boasted larger windows and, yes, even more power. Once again, a sporty version was also available, this time in the form of the Granturismo 850. After two decades of mixing oil and fuel, Saab finally joined modern times: Ford’s V4 engine became optional for 1967, a year before the Swedish manufacturer made it standard equipment. 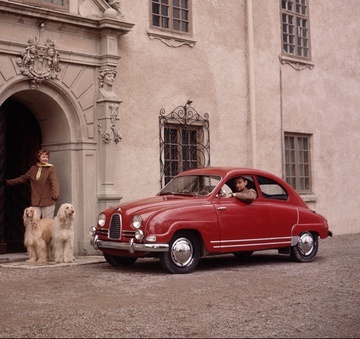 Saab 96 production would last all the way until 1980. One of these classic Saabs costs less than a Mini or British Ford, too: Hagerty currently values the nicest ones in the world at about $15,000. Randy Cook has spent decades working on early Saabs, and three of his cars can now be found at the Lane Motor Museum in Nashville, Tennessee. His tips are for current and future owners alike. 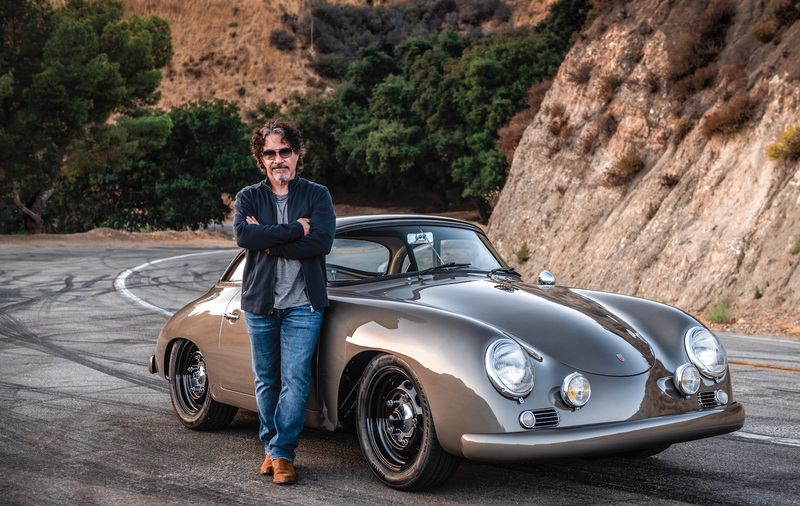 Reliability is not typically an issue with the engines in these cars. You just need to run spark plugs designed for the correct heat range; use a correct oil-to-fuel mix; and make sure the exhaust system is not plugged. One upgrade I recommend to aid reliability overall is to replace the manual fuel pump with an electric unit. A poorly maintained transmission is a common failure point. The hydraulics can also cause problems if the wrong fluid is used. Floor pans, front rocker panels, and the bottom edge of the doors are all rust-prone areas. Make sure you check these areas first when inspecting a car. Some beneficial updates include converting the front drum brakes to the disc brakes used on later cars; updating the transmission to a later style that does not use rubber doughnuts on the front axles; and switching to the newer iridium plugs. The transmission oil should be periodically changed to avoid moisture buildup so gears don’t rust. These days, there are many good types of two-stroke oils available that were not on the market years ago. We use Yamaha two-stroke racing oil in both the mixer and oil-injected engines. We also typically add a dash of Golden Spectro in with gas, but only in cars with the injector motors. There are some very good tuning references in the older shop manuals that detail performance modifications in stages. These references were written by the factory and are reliable. If you own or would like to own one of these cars, I highly recommend joining the Vintage Saab Club of North America. They publish a great newsletter with many helpful articles and parts sources to keep the older cars performing well.